1. What is UPSTART and what does it aim to do? 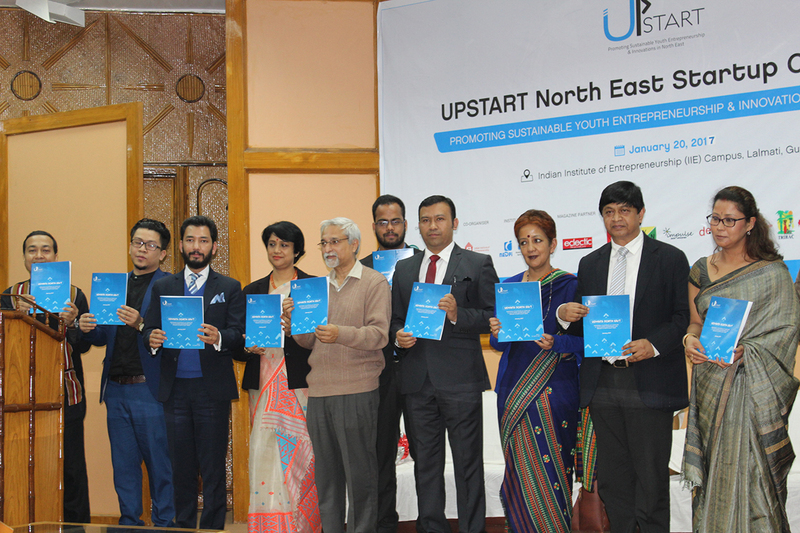 The UPSTART North East Startup Festival is an integrated platform to amalgamate existing Startup business ideas and actions that involves creativity, brainstorming, different dreams, action plans, grooming up the startup pioneers and leading projects that have potential to become popular brands from the NE region. 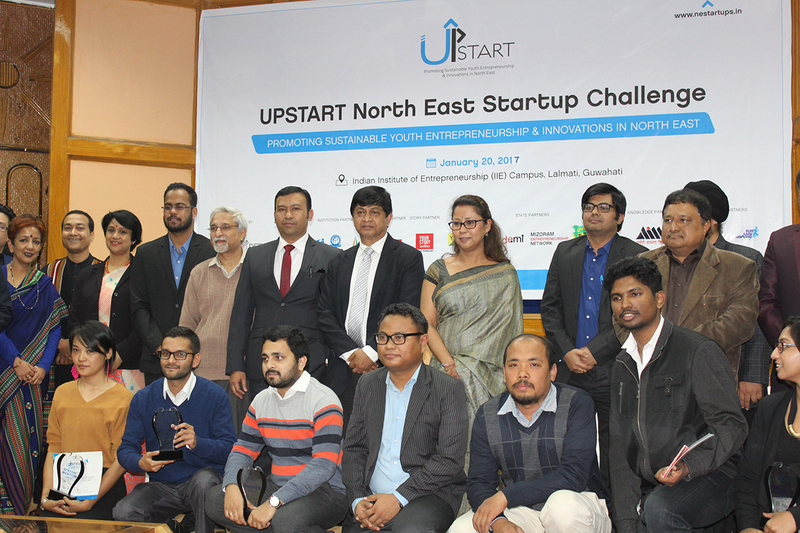 This is a first-of-its-kind initiative in North East India to recognize and provide a proper platform to prospective entrepreneurs to create an ecosystem for developing entrepreneurships, partnerships and collaborations. 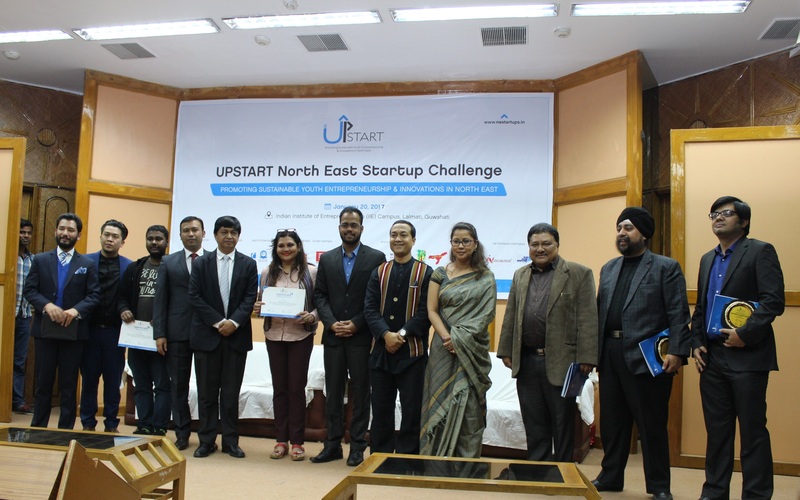 The UPSTART North East Startup Festival is designed as a region wide festival of events that help startups grow faster by bringing together founders, investors, business leaders and developers around specific themes (or verticals). 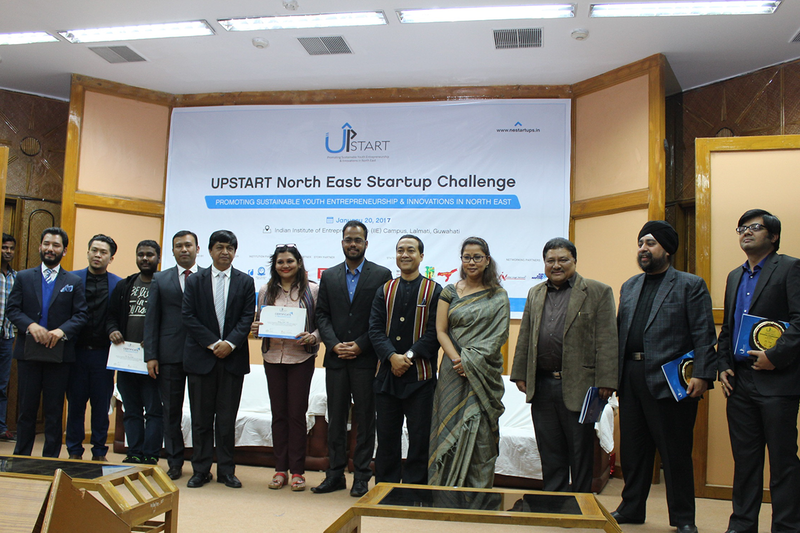 These day-long match-making activities shall be a joint effort of startups and stakeholders in the cities of Shillong, Kohima, Aizawl, Gangtok, Agartala, Imphal, Itanagar and culminating in the 2 days North East Startup Festival during November 2016 in Guwahati, Assam. 2. Who is eligible for applying for this award? 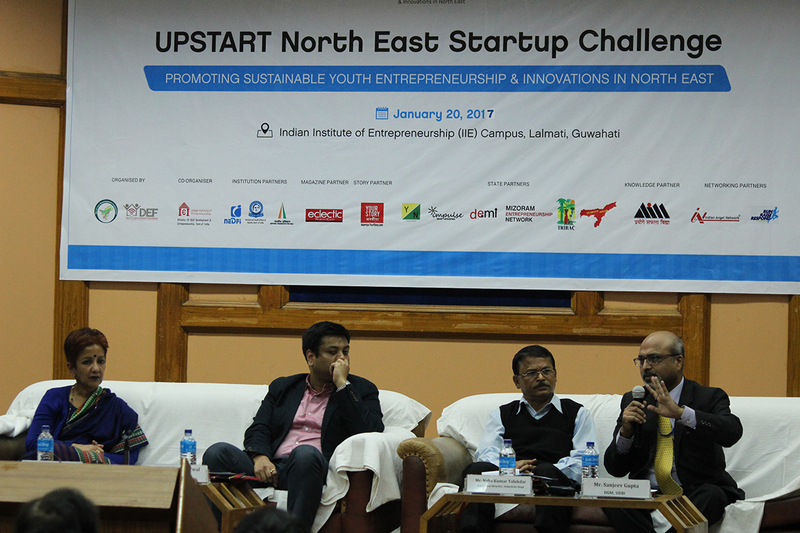 Any existing startups from any of the eight North Eastern States and North East based Startup operating from any part of India. The startups must be on ground at least 6 months at the time of filing the application or nomination. 3. What is the process of participation for the event? 4. 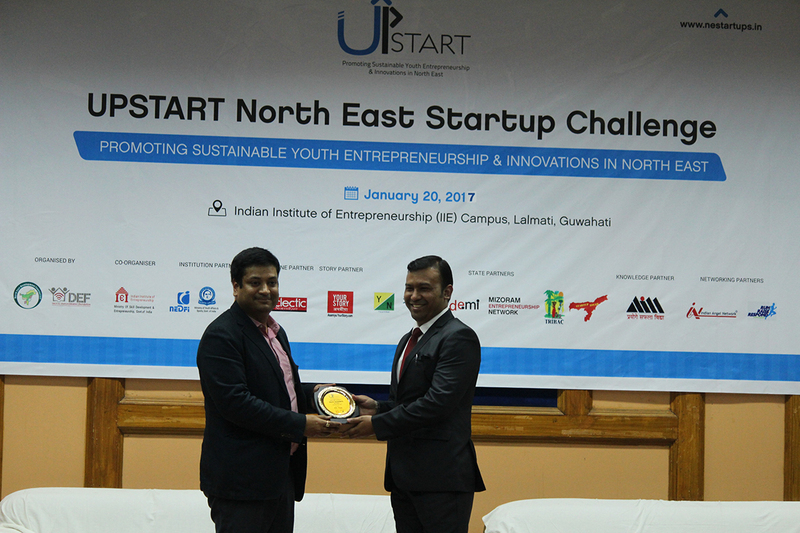 Which North Eastern States are eligible to participate in the UPSTART? 5. 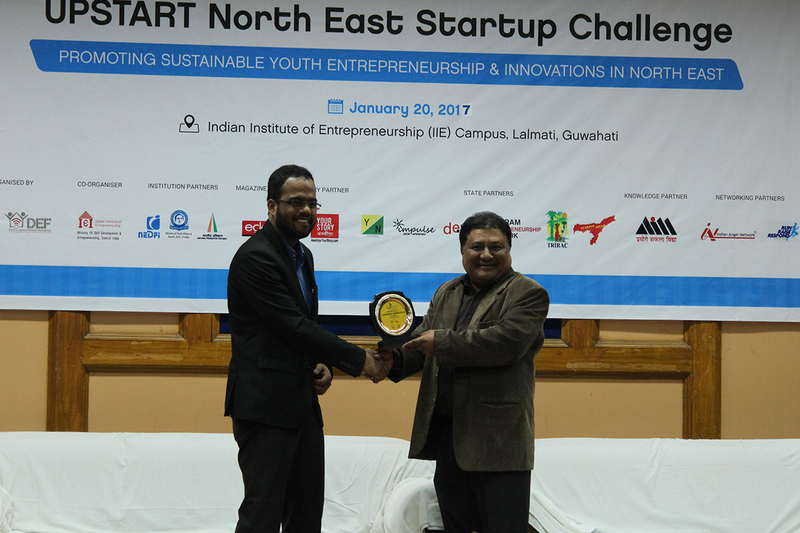 Can anyone not based in any one of the eight North Eastern States apply for the awards? Yes, of course. Any project which has been developed or has the customer base/target market in any of the North Eastern States can apply for the award. 6. Is there any fee? 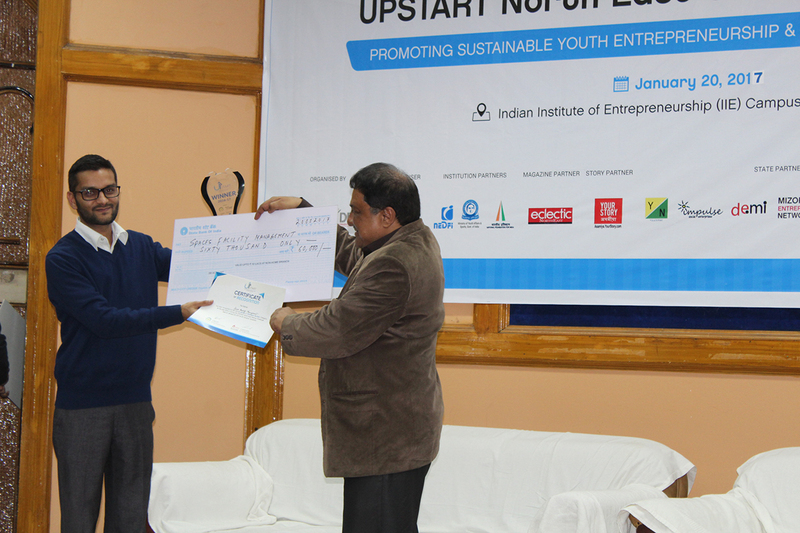 There will be a nominal Startup registration fee of Rs. 2000. This amount is collected to process the applications, and take care of logistics, refreshments, kit during the 2 days event in Guwahati. 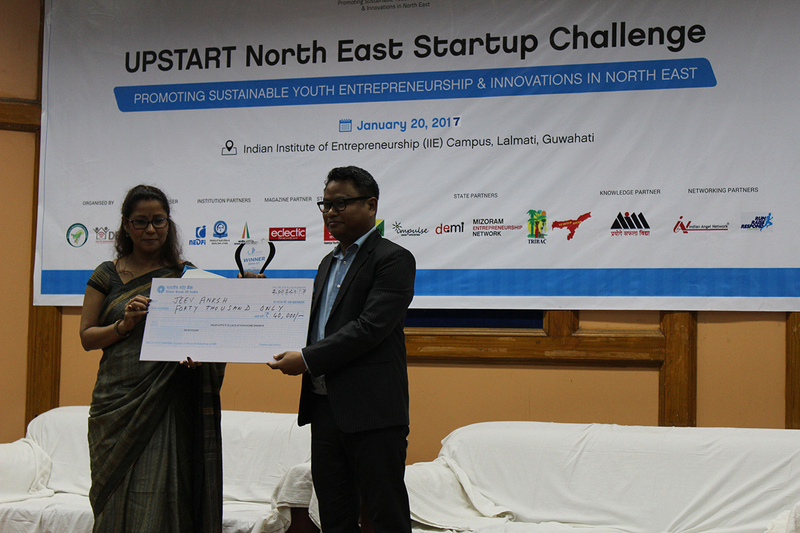 This amount is to be transferred to the organisers 2 weeks before the UPSTART North East Startup Festival. 7. Can an applicant apply or nominate in more than one category? Yes, any interested participant can apply in multiple categories by following the UPSTART guidelines. 8. Will I be getting any acknowledgement for my entry? Yes, when any nominee submits complete nomination form along with all the supported documents/material, we send an acknowledgement note to the nominee. 9. Can I submit one project under 2 categories, if it fits? No, one Nominee can apply under the best fit category and the project will be considered for that only. Same project cannot be submitted under 2 categories. But the Jury has the right to change the category of the project/product to ensure the ‘Best Fit’. 10. What is the process of withdrawing from the nominations? Any nominee is required to send an email upstart@nedfindia.org requesting the withdrawal from the UPSTART process quoting the reason for such withdrawal. 11. In what form is supporting material allowed? Digital files may be submitted for all categories. Files in PowerPoint, Word, Excel, PDF are allowed and Videos, Audios in .wmv format. Kindly visit the Guidelines section to know the required supported documents. 12. Can I send the supporting material later after submitting the nomination form? Yes, any nominee can send the supporting material to the given email address within two days of submitting the nomination form online. The UPSTART Secretariat will send a mail regarding the same. 13. Will my supporting material/shared material remain confidential & returned to me? Any information or material related to the products/projects & organisation will remain confidential and will not be shared with any external entity. However, the organisers may in order to promote good practices and ideas of Startups will use the nominated content and resources with all due diligence and neutrality. 14. When will the jury process start? The process of evaluation commences from the date of closing of nominations. Entries will be judged on the predefined evaluation criteria. 15. What are the evaluation criteria for the product/service/ project? • Impact & Sustainability – The social impact & the commercial viability of the service/product. • USP & Strategic Value – Uniqueness of the idea & the easiness of strategy replication. • Execution & Implementation – Procedures of carrying out & executing the innovation, idea according to the market demand. • Accessibility – Cost effectiveness matching social and economic capital of different user groups with diverse needs in different income brackets. • Innovation – The Startup product, service, idea having innovation to serve a cliché of market need and demand with uniqueness, branding and marketing. • Overall Experience – The user base & overall user experience regarding the application/content. 16. Is it mandatory to fill all the fields in the nomination form? It is necessary for the participant to fill all the fields that are marked as mandatory or else the form will be considered as incomplete and might be rejected. In any case, however, we suggest that you give as much information about your nominated project as possible to facilitate proper evaluation by the Jury members. 17. When will the shortlisted projects be announced? After the Grand Jury is over, the shortlisted nominations are contacted individually through email/phone from the UPSTART Secretariat. 18. When will we know about the final results? 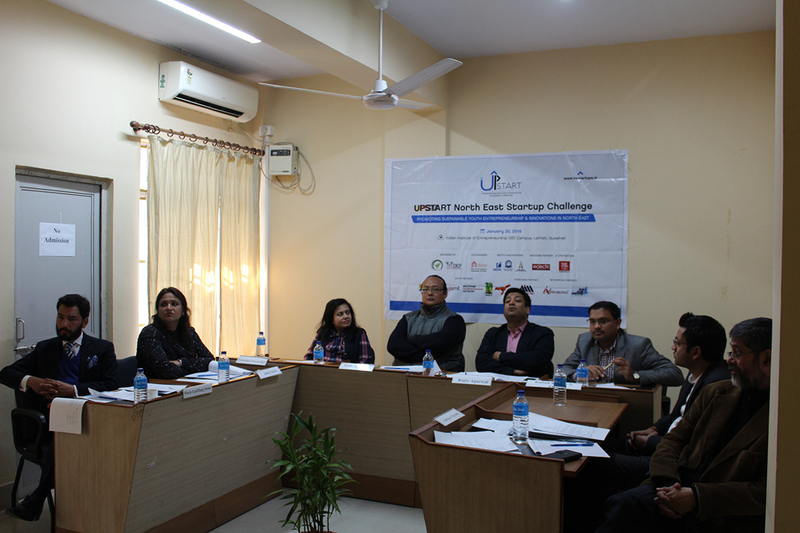 Results for selecting the finalists for the UPSTART 2016 will be declared one month prior to the final STARTUP event during November 24-25, 2016. 19. Is setting up a stall mandatory for all the finalists/nominees? Yes, we encourage all, particularly the shortlisted nominations (finalists), to put up their stalls during the final event so that their outreach is maximised and there is greater networking amongst them and all the industry stakeholders attending. 20. Will there be a stall charge? Yes. There will be a stall charge of Rs. 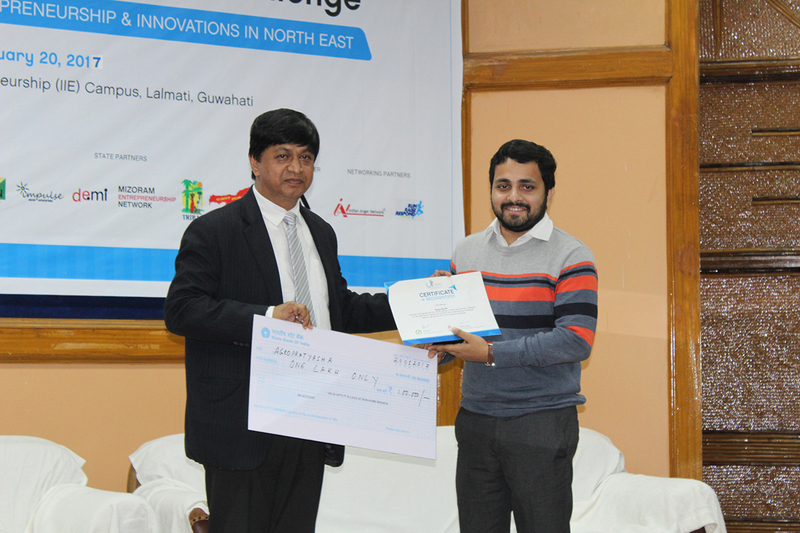 5000 for the finalists as well as any other non-finalists startups who wishes to participate in the festival. 21. What is the time limit of the presentation on final event day? 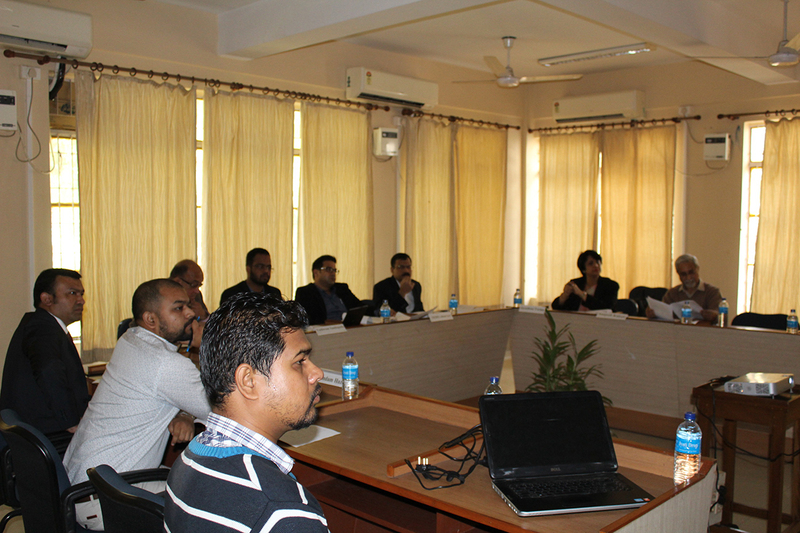 10 minutes will be given to the participant to present the project (excluding 3 minutes of interactive query session). 22. Is there any mandatory query session after presentation? Yes, after the presentation there is a Query session. Judges as well as the audience can ask questions from the presenter on their presentation or the product. 23. Will I get the transport/accommodation facility? No, we request you to please make the necessary arrangements on your own. We can facilitate you in terms of accommodation, nearby the Event venue. 24. Who is eligible to apply for volunteering for the final event? Any person who has interest in Startups and enterprise activities are welcome to volunteer for the final event. 25. Is there any certificate given to Volunteers? 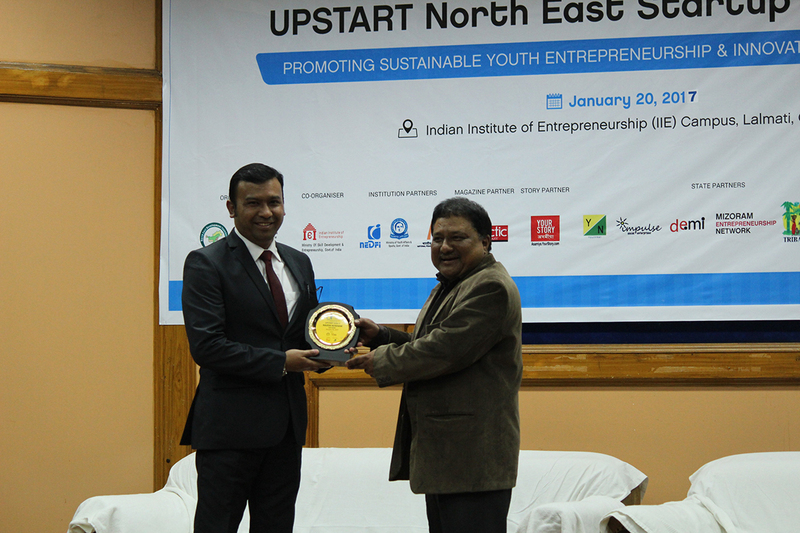 Yes, certificates for volunteering will be provided to the volunteers from North East Development Foundation. Some token money also will be given to the best performing volunteer. 26. What are the date and timings for the UPSTART 2016? 27. By when can we register online? Online registration is open till November 15, 2016. 28. Is there a registration fee for delegate participants? There is a nominal delegate registration fee of Rs. 700 to attend and participate in the 2 days of Startup Festival. The amount will contribute in refreshment, logistics, kits, and resource materials for each delegate. 29. What does the registration charge for delegates include? 30. If I am not a nominee, how can I get a speaker slot at the event? Please write to us at upstart@nedfindia.org with a request for getting a speaker slot. Please attach the brief profile of the person who wishes to speak at the event. 31. Can Press & Media attend this Event? Yes, Press & Media are welcome to the final event day to cover the best practices in the use of mobile technology for development and Social Media for development. There are 2 free passes available for the Press & Media. Please carry your ID card. 32. How does my company join the UPSTART? To join the UPSTART, please register yourself online from September 2016 onwards. 33. Are there sponsorship opportunities within the UPSTART? 34. How do I contact someone at the UPSTART? You need to write to us at upstart@nedfindia.org or call us at (8011051307) informing us of your interest in the subject line of the mail. Our team will contact you within 2 working days.